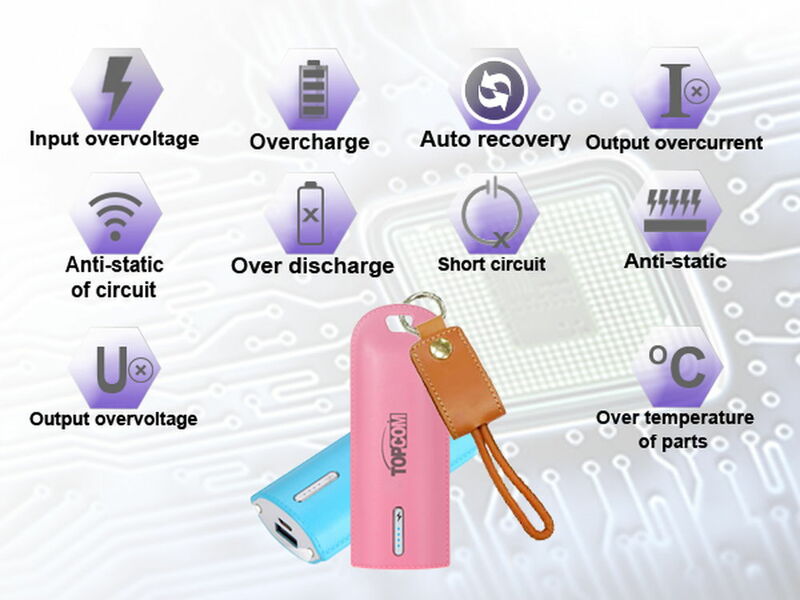 Capable of recharging DC5V input devices. 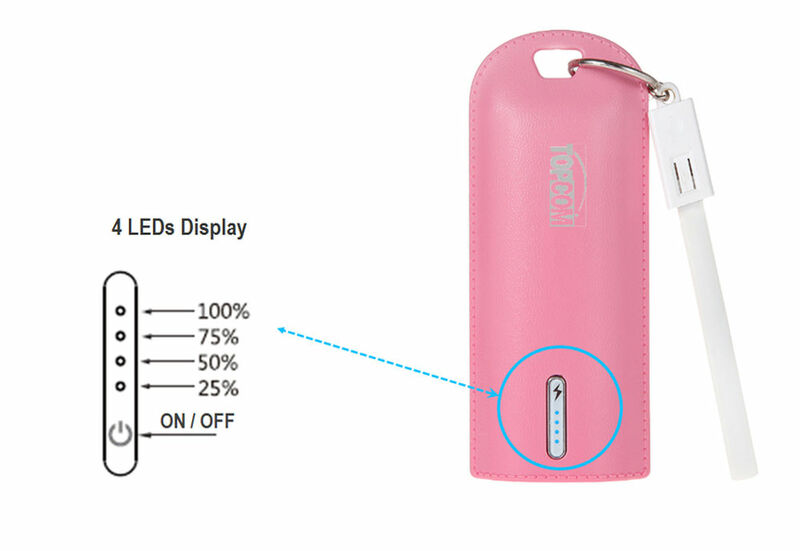 Comes with dual convenient LED flashlight for emergency lighting. 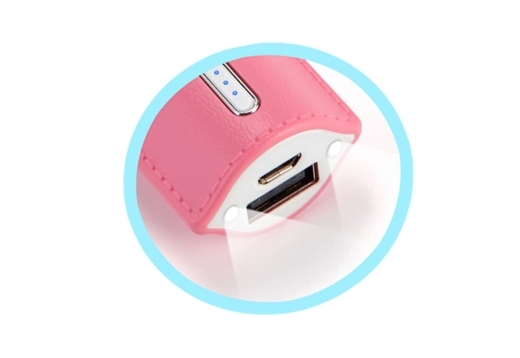 High grain leather shell, elegant and stylish. 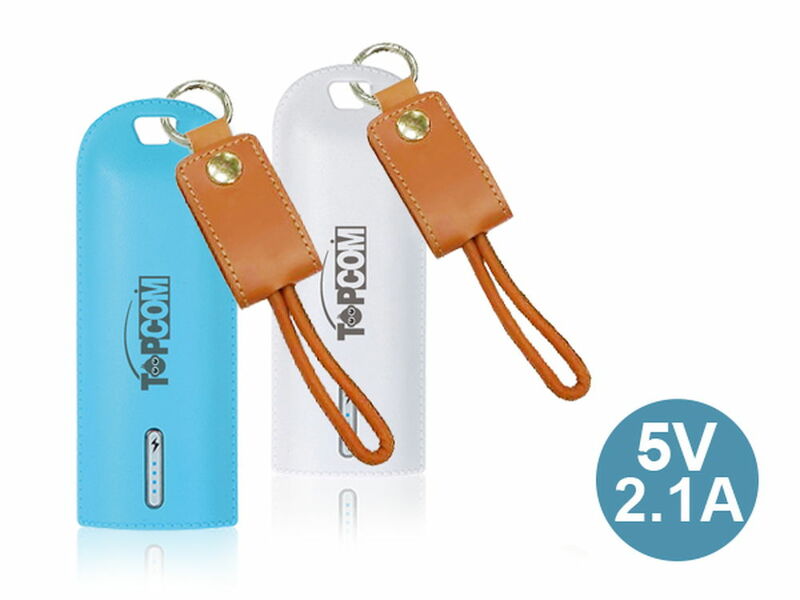 Topcom’s PB-S6-Leather is a 6700mAh Li-ion battery's power bank ,DC5V 2.1A output offer quick charging the devices requiring a DC5V input. Whether you are on a business trip, working outdoors, Topcom's Topcom’s PB-S6-Leather power bank is your best choose. 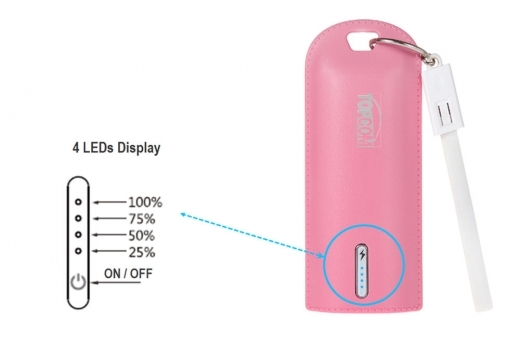 Hook chain design, easy to carry . Whether you are on a climbing, camping, working outdoors, Topcom's PB-S6-Leather power bank is your best choose. 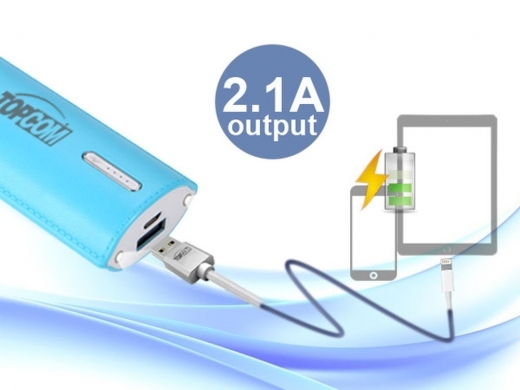 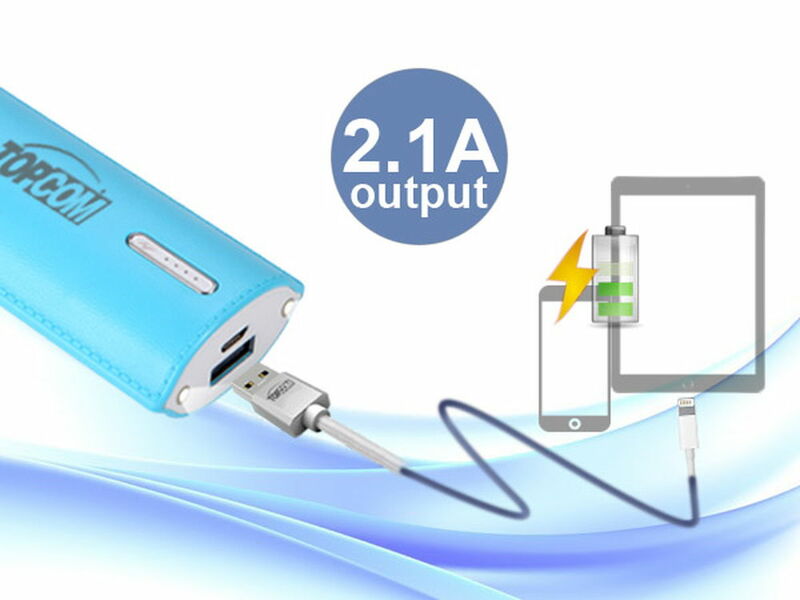 It is capable of recharging DC5V input devices, such as a smartphone or tablet, on the go to keep you working outdoors or during a power outage. Topcom's PB-S6-Leather power bank with friendly interface design to simple and easy use,with smart LED battery indicator ,easy to see the power and charging status. 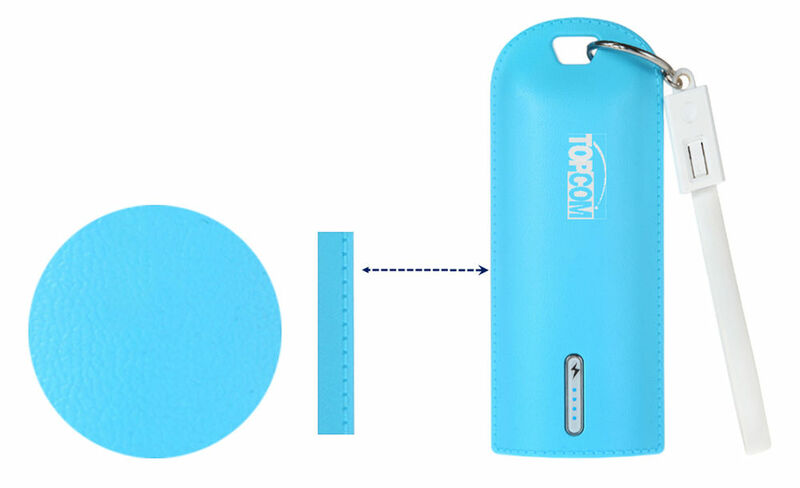 Topcom's PB-S6-Leather power bank is designed with CC, CV circuit; besides, the multiple protections of over-current and short-cut circuit etc is not only offering a stable charging process but also securing a safer long-time usage condition.